Don’t Miss Your Chance!! #CatchItAll NOW @ Best Buy!! It’s that time of the year again when March Madness provides nail-biting excitement, unbelievable come-from-behind victories, spectacular upsets, the ups, the downs, and everything in between. 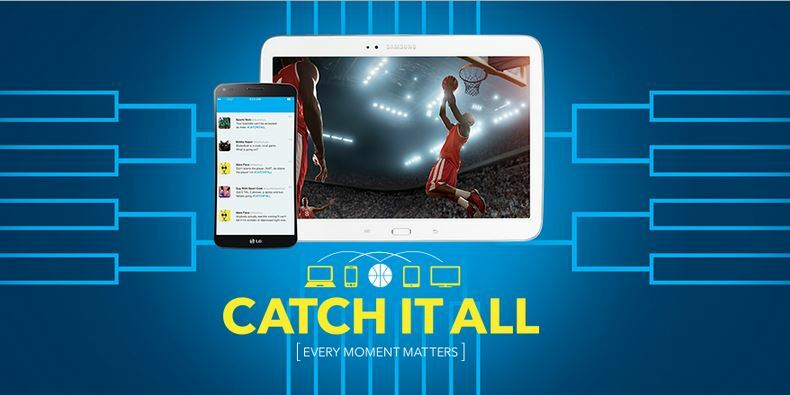 But no matter what team you’re rooting for, make sure you stay connected and #CatchItAll on your favorite device for all the tournament news, scores, and highlights. I personally prefer keeping a close eye on all my picks and brackets with my iPad Retina or laptop while watching all the live action from my 60″ Insignia HDTV. Nothing beats watching the game on that 1080p big screen in HD – it makes you feel like you are actually there! Add some surround sound to the mix and you got yourself a legitimate game center . Away from home are unable to catch the game on TV? You can also catch all the action on your mobile device because the entire tourney is being streamed live! This means you can stay connected and catch all the action live, no matter where you are! Best Buy helps keep you connected to the excitement with the devices and connectivity that make it possible. Brought to life by the brand promise of the latest devices and services, all in one place. Staying connected has never been easier!